World class CAD programs at their own classrooms! While the formal engineering programs equip students with knowledge of engineering, they also need to have mastery over relevant CAD software tools to become more employable. Here is an opportunity for institutions to ensure that all their engineering students are well versed in CAD tools. 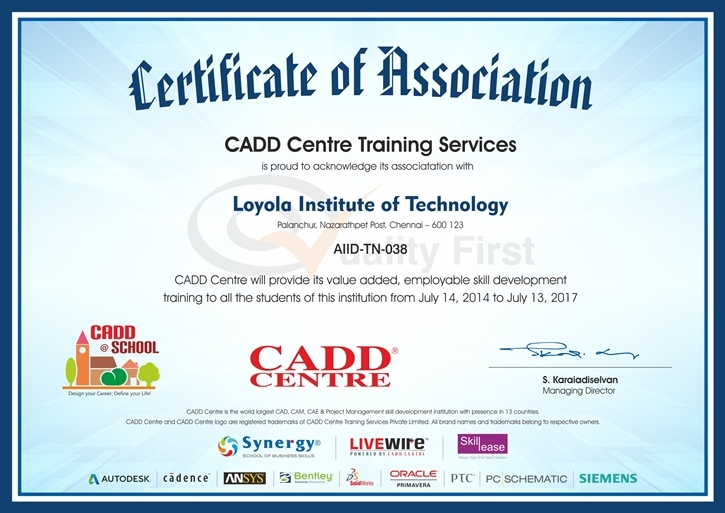 Through our Certificate of Association program, an innovative institutional partnership program, we sign up students in any of our 100 plus authorised CAD, CAE, CAM courses in architecture, civil, electrical & electronics, and mechanical streams at subsidised prices, and teach them at college premises. What does it mean to students? 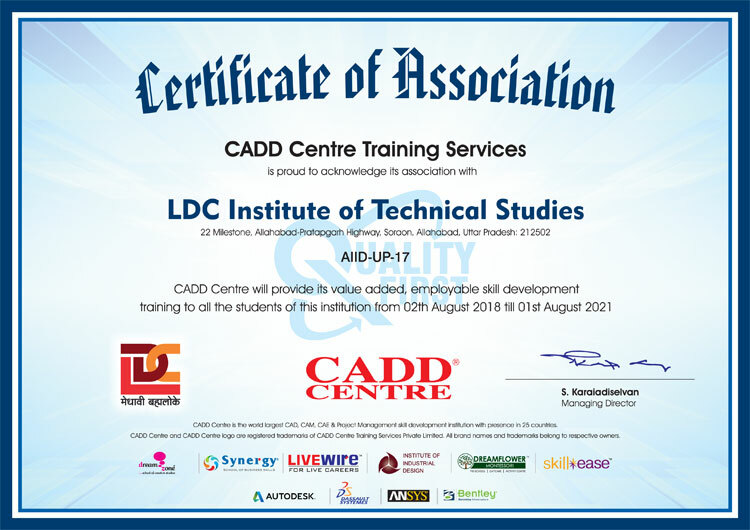 They do not have to "walk that extra mile" anywhere or miss regular classes to accommodate different time slots offered at centres in order to learn CAD courses. Even as they purse their regular academic programs, they still learn CAD courses of their choice at your campus itself. 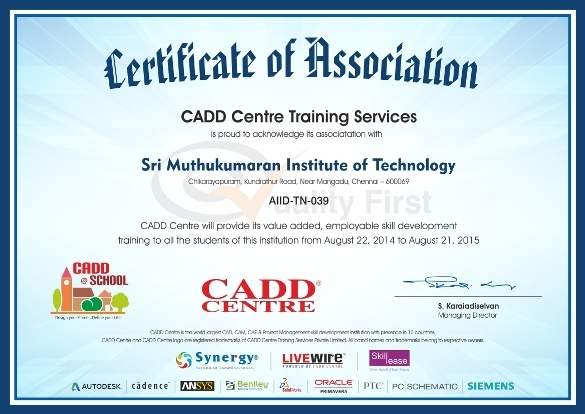 World class CAD programs at their own classrooms! 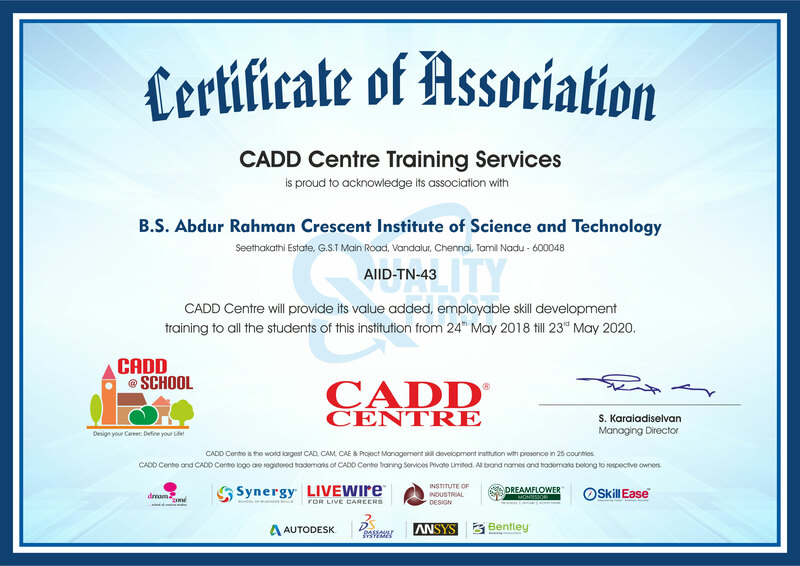 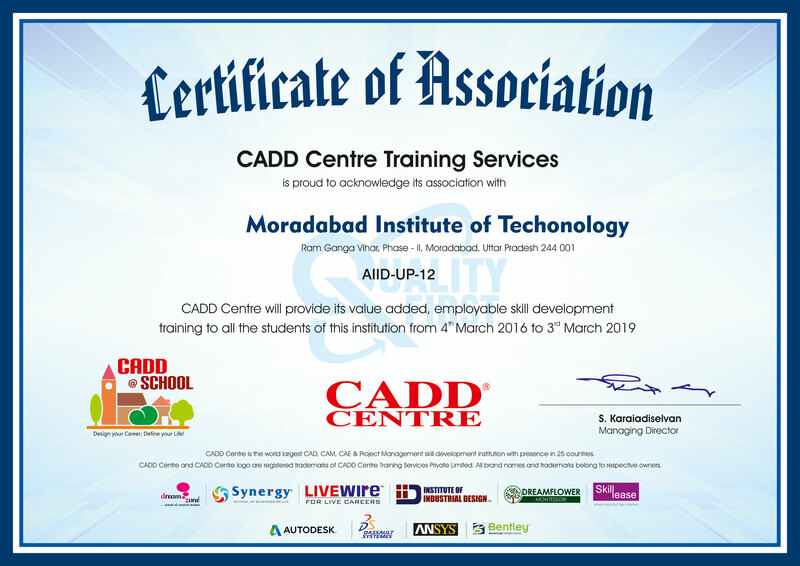 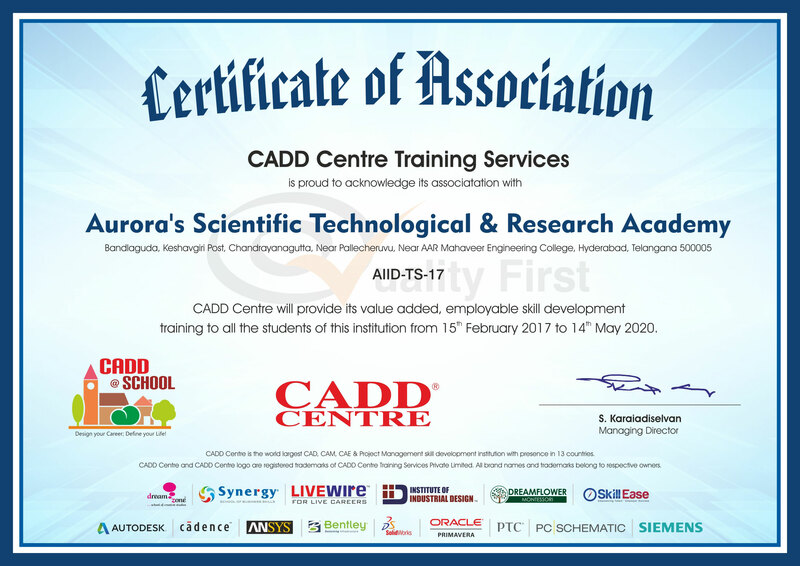 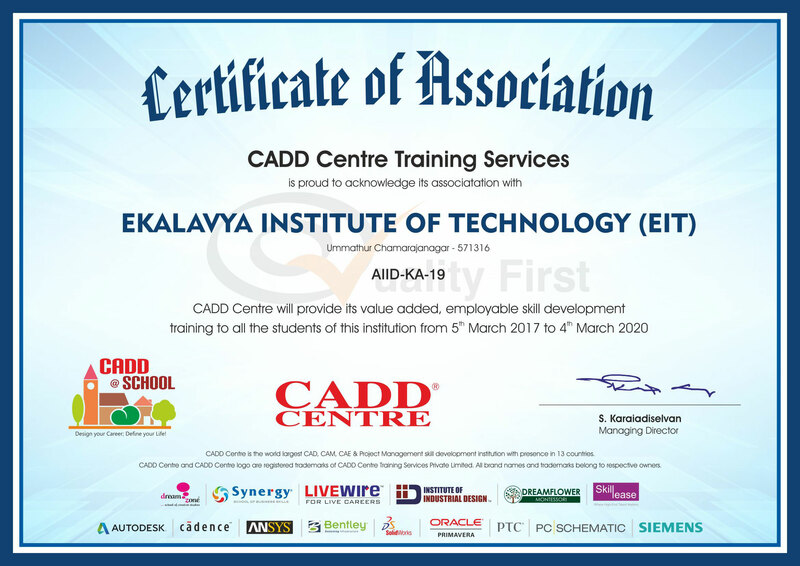 CADD Centre partner with institutes of all sizes and accreditations - engineering colleges, polytechnics, Industrial Training Institutes, and private diploma institutions - at no cost, and send our staff, trained and certified by of about 15 principal software developers including Autodesk, Bentley, PTC, and Siemens. 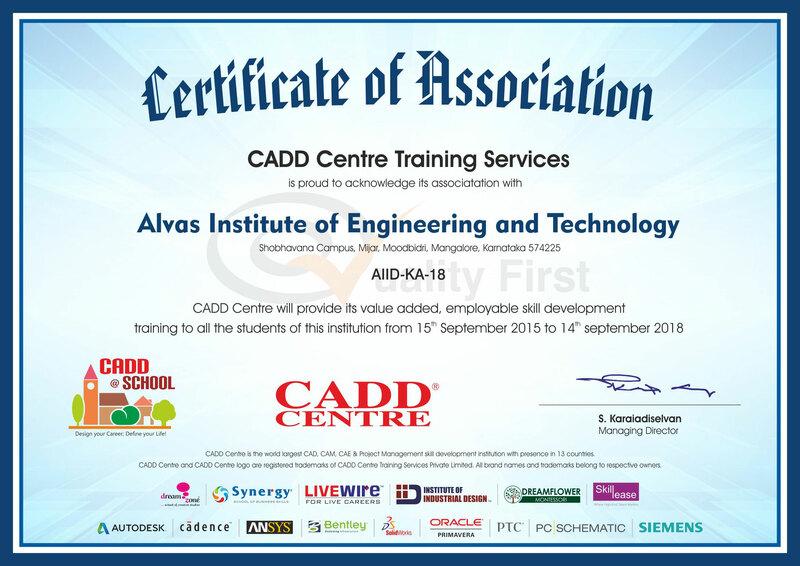 Focus fully on providing valuable engineering knowledge to your students, while outsourcing the training on current, industry relevant software skills to us. Let us make students more employable! Please click on the college name below for further information. 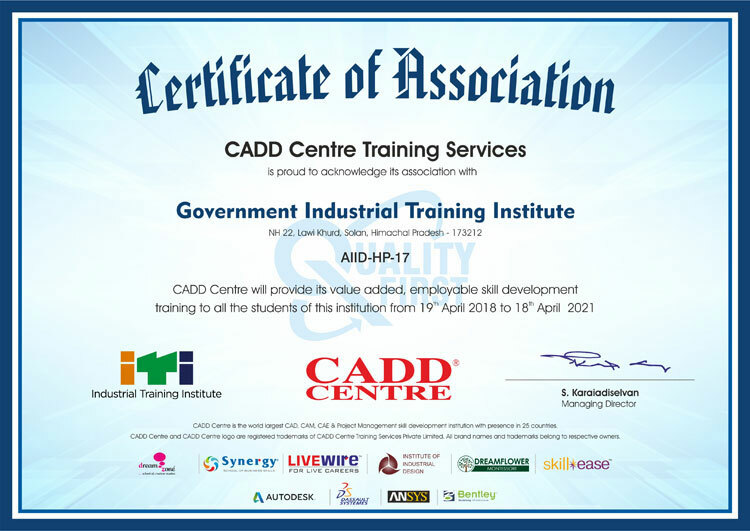 Government Industrial Training Institute NH 22, Lawi Khurd, Solan, Himachal Pradesh 173212. 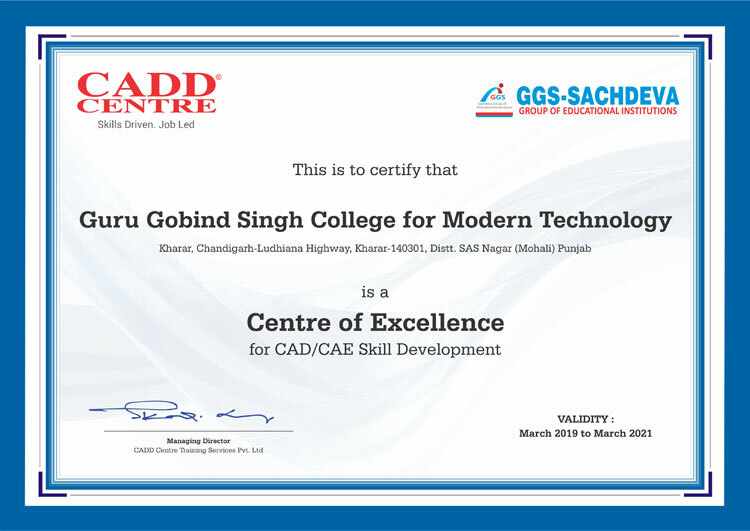 Baddi University of Emerging Sciences and Technologies Makhnumajra, Baddi, Distt., Baddi solan, Himachal Pradesh 173205. Govt. Industrial Training Institute VPO-Nalwa, Distt. & Teh. 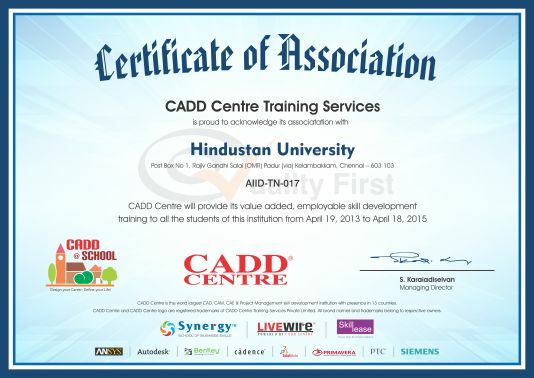 Hisar - 125037. Darshan Institute of Engineering & Technology At Hadala, Near Water Sump, Rajkot Morbi Highway, SH 24, Rajkot, Gujarat 363650. Marwadi University Rajkot-Morbi Highway Road, Gauridad, Rajkot, Gujarat 360003. St. Mariam Polytechnic College Tenkasi – Tirunelveli Road, Alangulam, Sivalarkulam Village, Tirunelveli, Tamil Nadu 627851. Sardar Raja College of Engineering Tiruchendur - Tenkasi Road, Raja Nagar, Alangulam, Tirunelveli, Tamil Nadu 627808. Dayananda Sagar Institute of Technology (Polytechnic) Shavige Malleshwara Hills, Kumaraswamy Layout, Bangalore 560 078, Karnataka, India. Apex College Of Engineering Rudrapur NH - 87, Rampur, Uttar Pradesh - 244923. Six Sigma Institute Of Technology & Science Jafarpur - Dineshpur Road, Rudrapur, Uttarakhand-263,153. Theni Kammavar Sangam College of Technology Koduvilarpatty, Theni, Tamil Nadu - 625 534. SRM University SRM Nagar, Potheri, Kattankulathur, Kancheepuram Tamil Nadu - 603203. AMET University 135, East Coast Road, Kanathur, Chennai - 603 112, India. RSR Engineering College Kadanuthala(V), Bogole(M), Kavali,Nellore Dist. Bharath Polytechnic College Manickampalyam, Thiruchengode - 637202, Namakkal Dt. 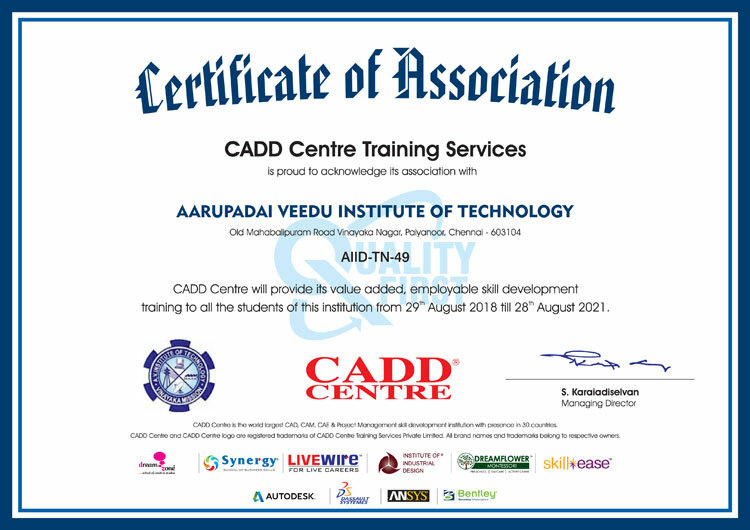 Tamil Nadu. 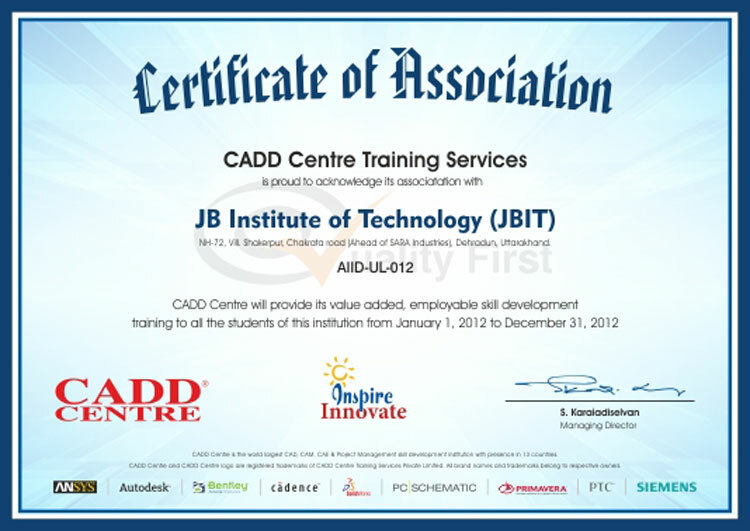 JB Institute of Technology, Uttarakhand NH-72, Vill. Shakerpur, Chakrata road (Ahead of SARA Industries), Dehradun, Uttarakhand. KCG College of Technology KCG Nagar Rajiv Gandhi Salai, Karapakkam - Chennai, Tamil Nadu 600097. An opportunity for institutions to ensure that all their engineering students are well versed in CAD tools.